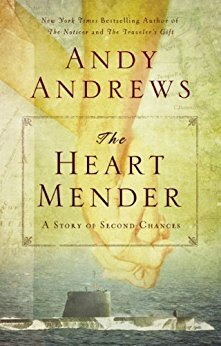 In the classic storytelling style of The Noticer andThe Traveler’s Gift, New York Times best-selling author Andy Andrews now delivers an adventure set sharply against the warm waters and white sands of the Gulf of Mexico in WWII America. This WWII story is unlike any other that I have read. It is about the Gulf Coast during WWII. There are many books about WWII, but very few on the Gulf Coast during that time period. That makes this story even more fascinating. After reading this book, I instantly wanted to learn more about the Gulf Coast and WWII. This book will probably go on my list of favorite books for 2017.